By now, people at large should have become aware of the artificial and spurious character of the European Union, initially created to reincarnate the reality of Europe, but which seems like everything except Europe. Inflated may well be the use of the word ‘crisis’ evoked to depict the current malaise, but it comes across as the word best suited in semantic terms because krisis, according to the renowned Ottorino Pianigiani dictionary, describes “the moment separating one manner of being from an another way, a different way”. In fact, Europe was a certain thing, and is now something entirely different. Coming to mind is a replacement, a fracture, more so than a transformation. It is a matter of realism and not pessimism when analyses regarding the state of our continent leave behind an after taste that could be called bitter indeed. 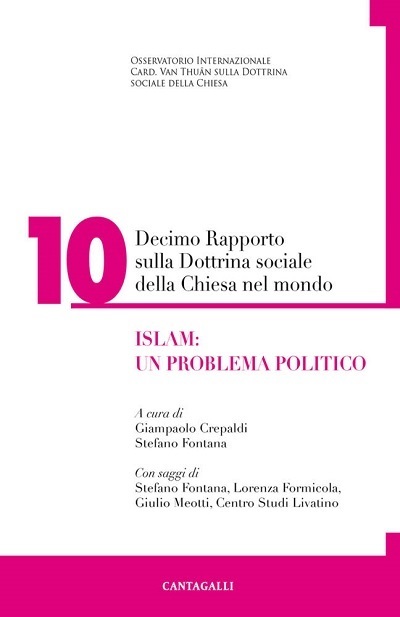 A case in point is the essay by Gianfranco Battisti – professor of economic and political geography at the University of Trieste – entitled Europe, the many reasons behind an epochal crisis, and recently published in the IX Report of the Observatory Cardinal Van Thuân on the Social Doctrine of the Church (Cantagalli, Siena 2017). 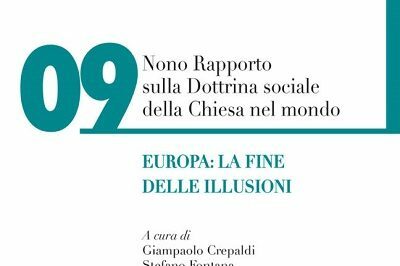 Prof. Battisti writes about Europe as “wandering adrift”, or, to use the words of G. Sangiuliano, “a liquid, odorless and colorless society conformed to single thought”. Certainly, when seeking to describe an historical effect it is preferable to investigate the remote causes (religious and cultural). Nonetheless, Prof. Battisti can but describe the more recent causes, the geopolitical ones, which better suit the aims of scientific speculation. Here are some essential data to ponder. Is there any sense in giving life to the pro European dream of Adenauer and De Gasperi by imposing upon the peoples of Europe a Parliament “bereft of any power of legislative initiative”? Is there any sense in the creation of the EU Council that “negotiates and approves laws together with the Parliament”, but without being bound by the latter’s opinions”? Is there any sense in the European Commission (which has a governance function) being “the sole organ empowered to propose European laws”? Is there any sense in the fact that in the absence of appropriate legislation, cases regarding abortion, euthanasia and family affairs must be resolved by taking them to court, taking them to the Court of Justice and the European Court of Human Rights? Moreover, is there any sense in a State without a single currency and without its own armed forces, as is the case of Europe today? Prof. Battisti thinks all this has no sense at all, and concludes that the European Union is a muddled and far from transparent bureaucratic monster essentially disconnected from what people think and want. It is a fact, however, that after the century of Enlightenment and the revolutions that took place during the last three centuries, unification at any cost has become the mania for Europe. No longer, however, the harmonious unification of the great Austro-Hungarian, German and Russian empires that succeeded in preserving national differences. Taking their place is hare-brained unification much closer to ironing out all differences and forcing uniformity, where – notes Prof. Battisti – it is necessary “to abolish differences”, much like what occurred under the Piedmont thrust during the Risorgimento in Italy: the Italian peninsula was occupied manu military, and imposed was “the authoritarian and uniformity prone policy of national states”. Even though the process of unification began sixty years ago – the author explains – events have taken place at a swift pace during the last thirty years, perhaps because the aspiration was to create an institutional system/structure that has always ignored the history of the western world. And this even in economic terms: due to their cosmopolitan and colonial vocation, the nations of the old continent are today paying the price for “the exposure of the main economies to trade beyond the borders of Europe”. It is true that a Common European Market was created for purposes of free trade. Nonetheless, in order “to be truly common”, writes Prof. Battisti, a market “must concentrate the greater part of its partners’ foreign trade within itself”. This has not happened. A certain colonialist outlook has detoured the European economy towards a policy focused on exports outside the continent. From one mistake to another European leaders have let tension mount among the member states, and between them and the major non European economic realities, because ignored have been both cultural differences and the individualities of single countries. Efforts have focused on creating a “puzzle of nations” artlessly assembled at the drawing board. This is the reason why “present at the origins of the EU is a stack of grave problems irreparable over the short term”. The bonding factor, the common horizon has been around ever since medieval times, but people have preferred to ignore it: the Cross. This is the authentic remote cause and the guarantee for the union of different peoples and cultures. Prof. Battisti also acknowledges this. Moreover, as Christian Dawson recalled, Christianity created a civilization, not just a culture. Losing sight of the religious element has meant losing our selfsame substance, and disintegrated has been the metaphysical ability to grasp the Everything in separate things. The outcome has been the feeble West we know, the rootless and euthanasia prone West that represents nothing more than its own phantom.